In 1853, the town of Kirkwood, Missouri was founded. Through the town, Jame Pugh Kirkwood helped engineer the Pacific Railroad (later the Missouri Pacific) through the town, who's last name ended up on the station sign. 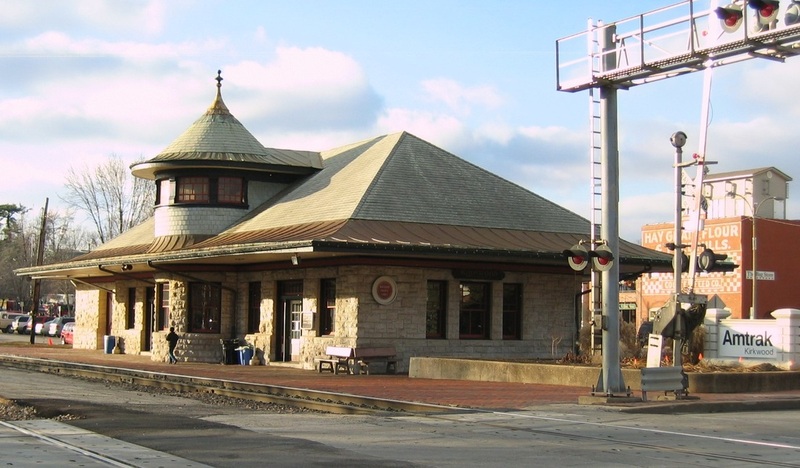 The township currently houses 27,000+ residents in 9 square miles, and features the Union Pacific and Amtrak railroads running directly through the town. 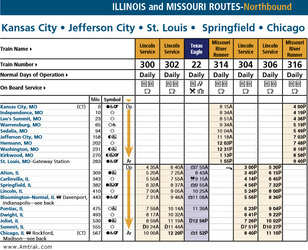 Below, you'll find a timetable showing the trains through Kirkwood and pictures of the town itself. 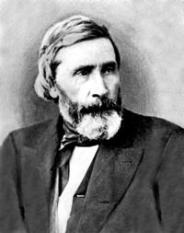 Jame Kirkwood ended living an endeavorous life as an engineer for many other projects besides the railroad. You can find more about his life here. The railroad right of way through Kirkwood is far from straight. From one end of the town to the other, the railroad does nothing but constantly snake, as shown below. 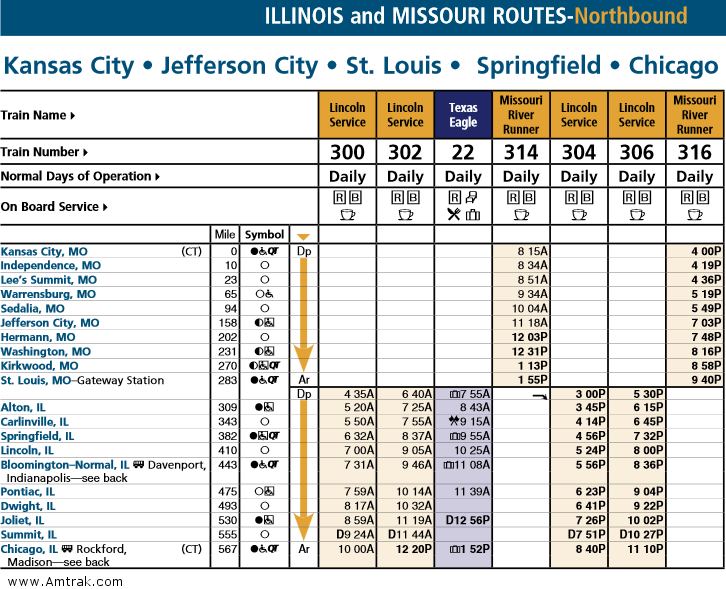 Kirkwood has many grade crossings, which are listed below in order from east to west. Kirkwood's station is of interest to many. It is wonderfully placed on a curve in the middle of down town, it is of Pacific Railroad design. It was built in 1893, this making it not the first Kirkwood, MO station. It is currently still serviced by Amtrak. 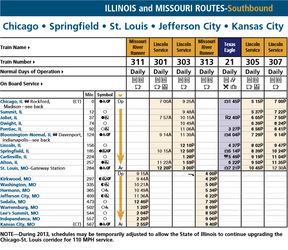 The time table is below the station images. The original wooden frame station was built in 1863. Commuter trains stopped running here in 1961. 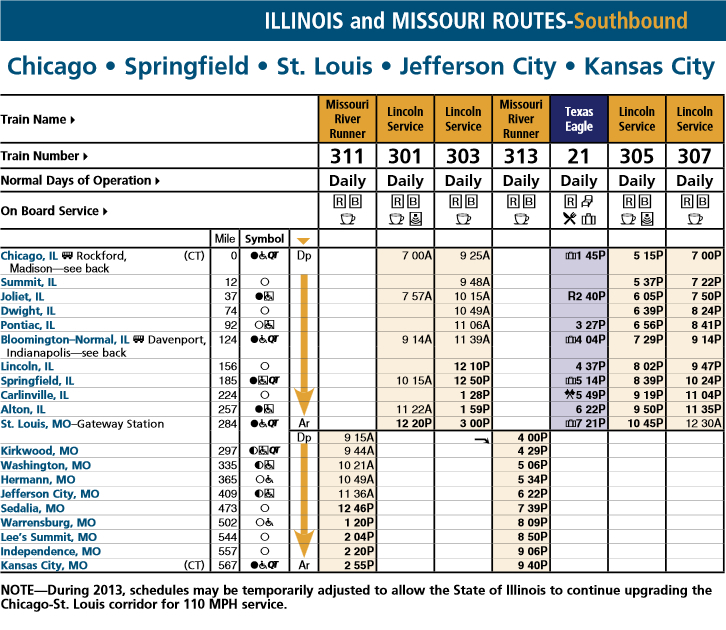 It is currently serviced by the Amtrak Missouri River Runner service, trains 311, 313, 314, and 316. This article looks like it could use some help - check out how you can submit today!